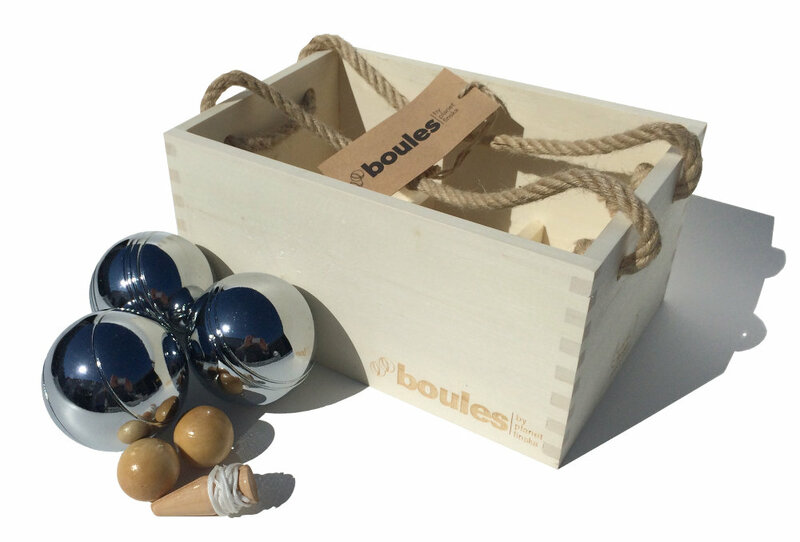 Six boules in a handy carry crate. 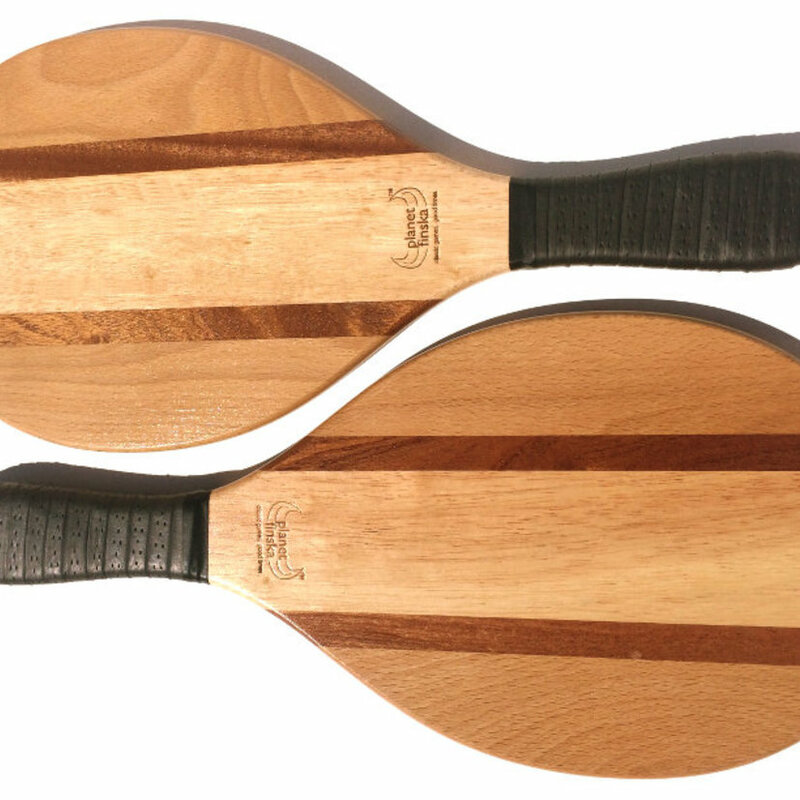 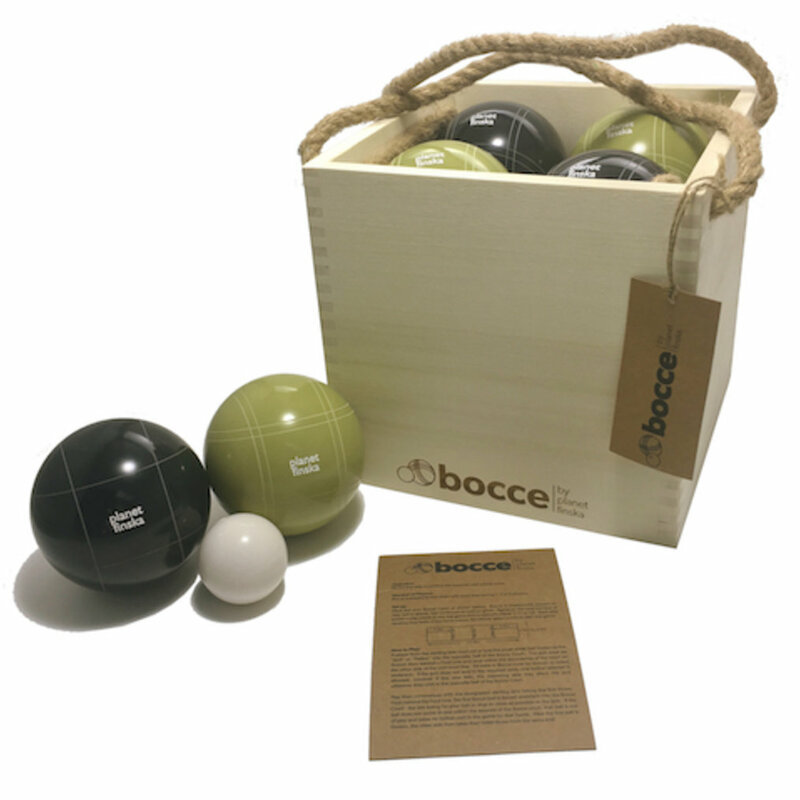 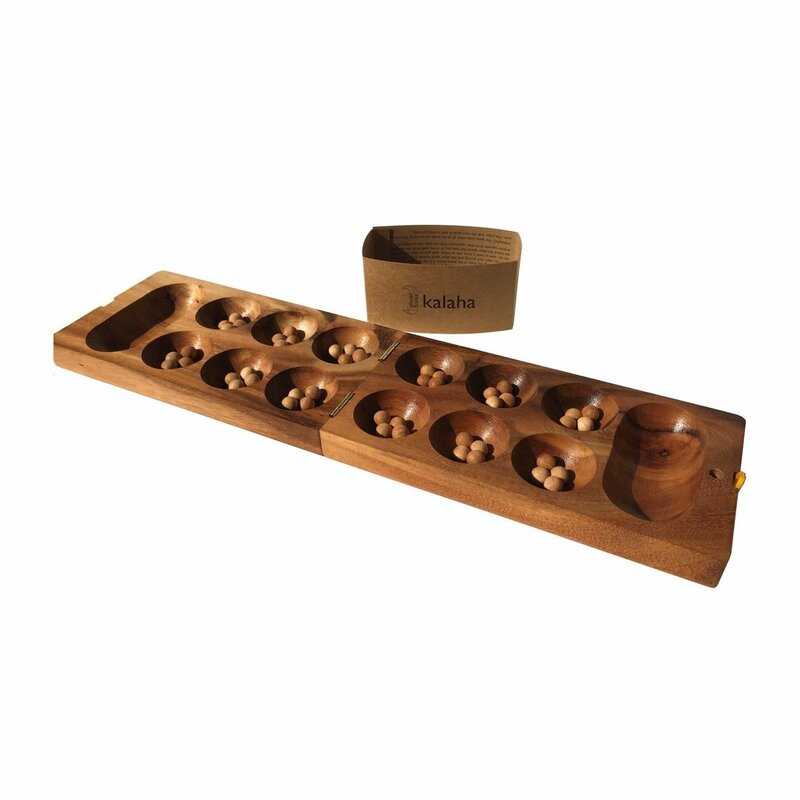 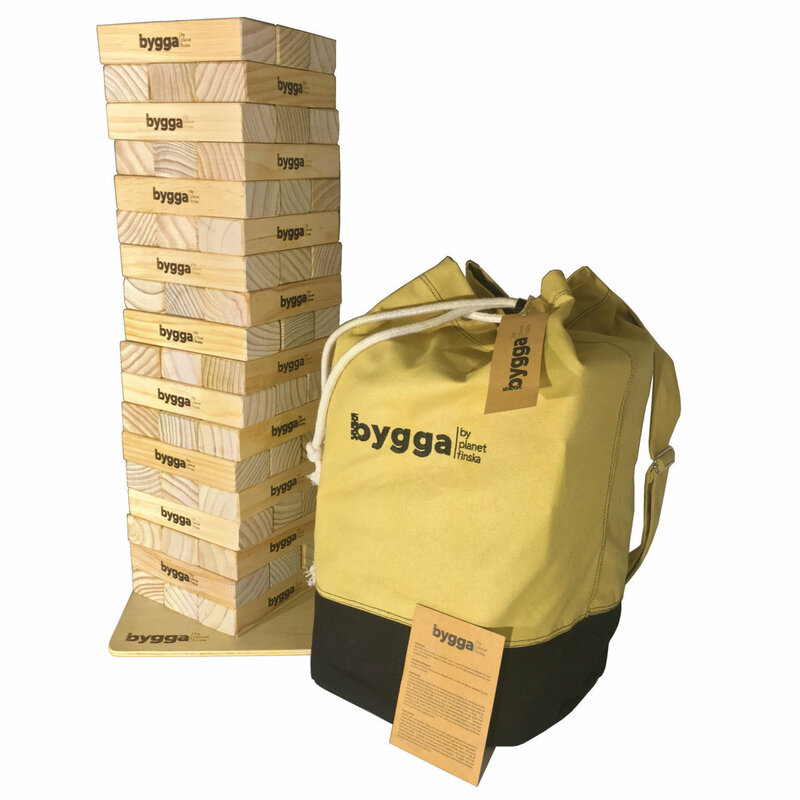 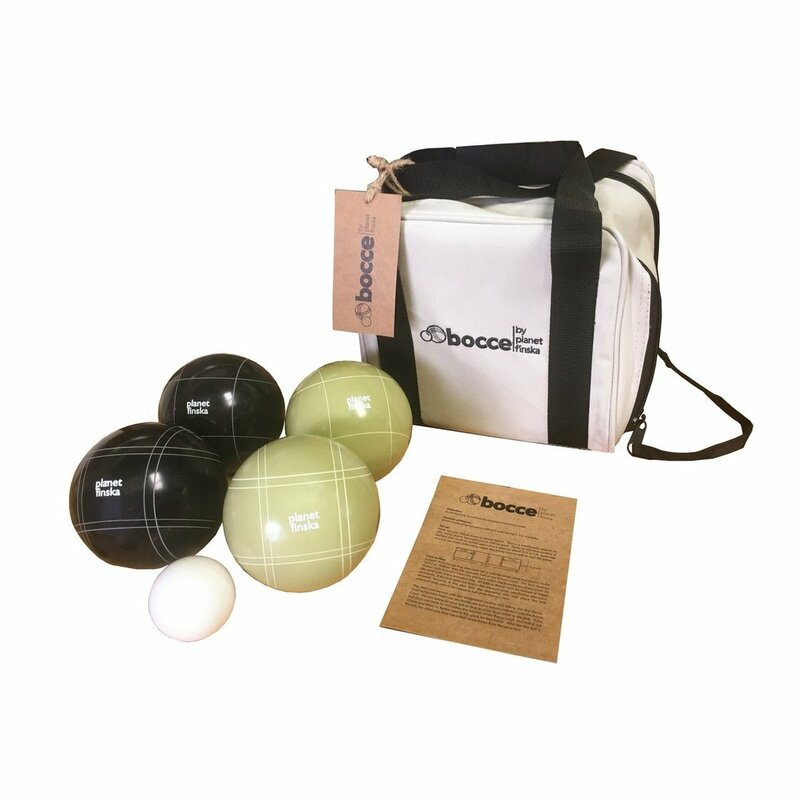 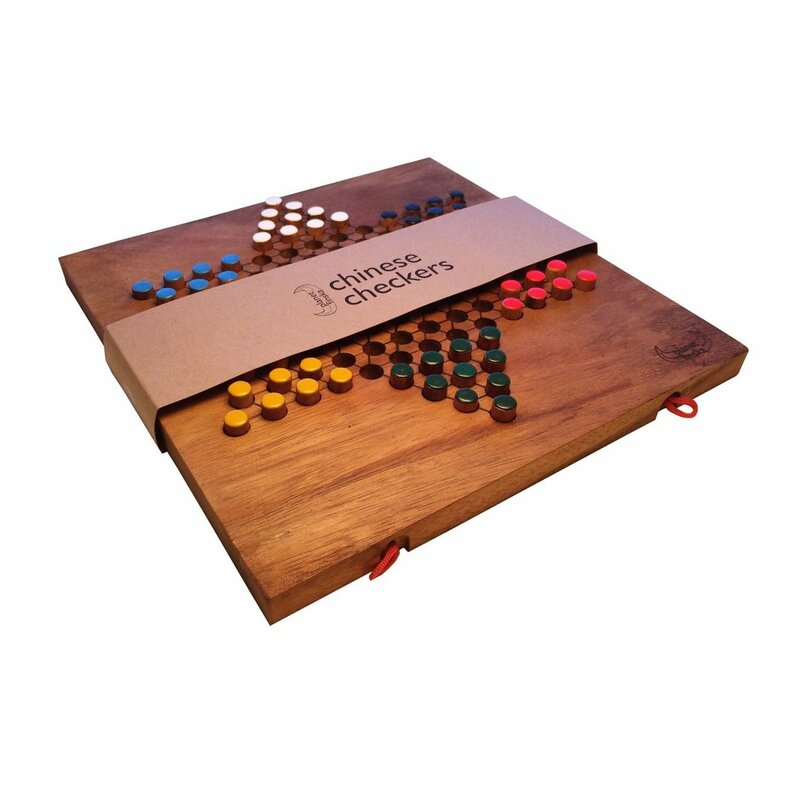 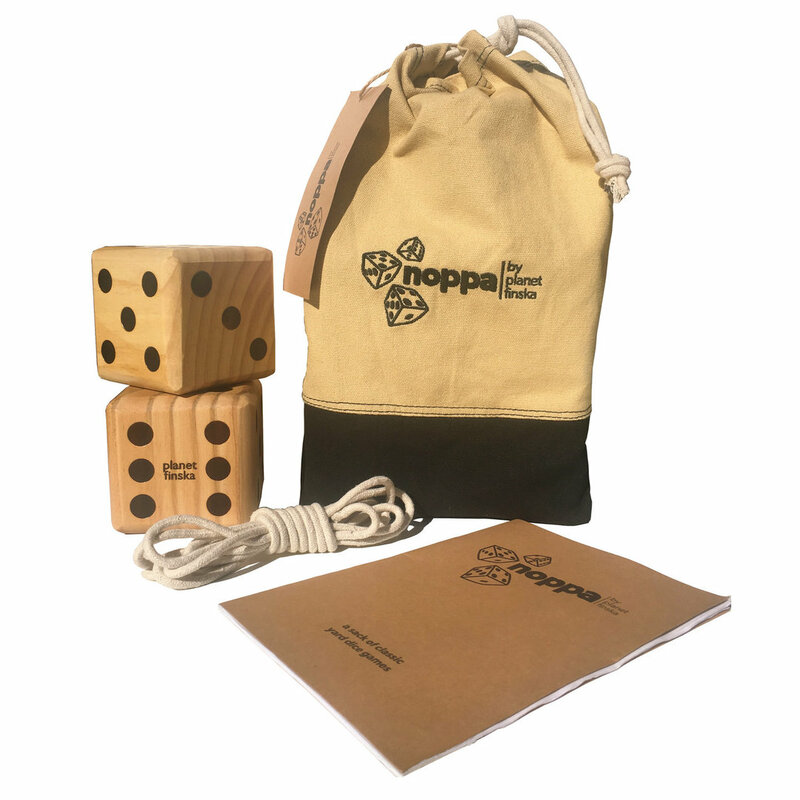 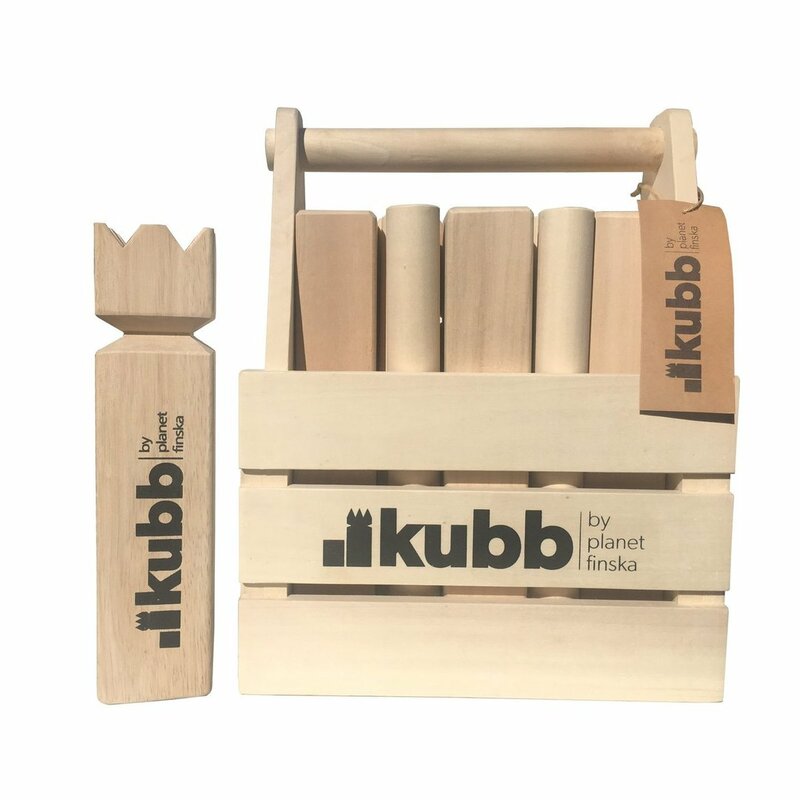 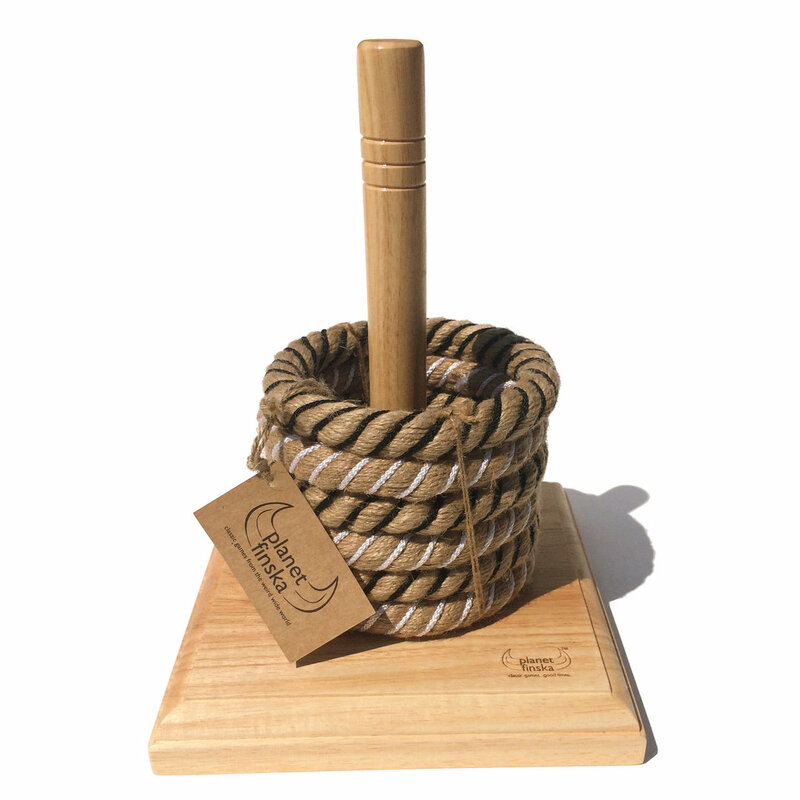 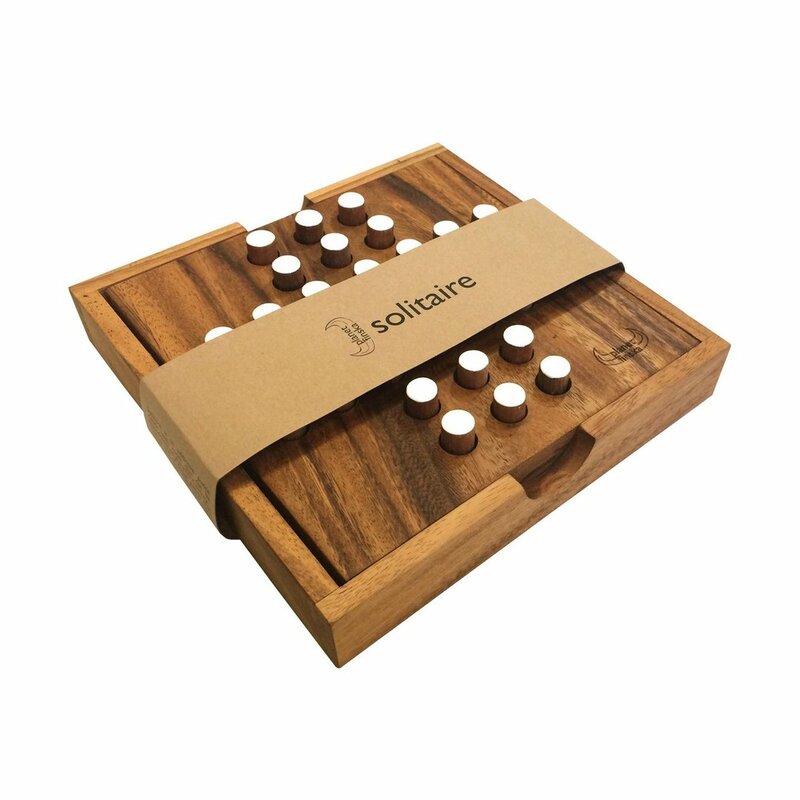 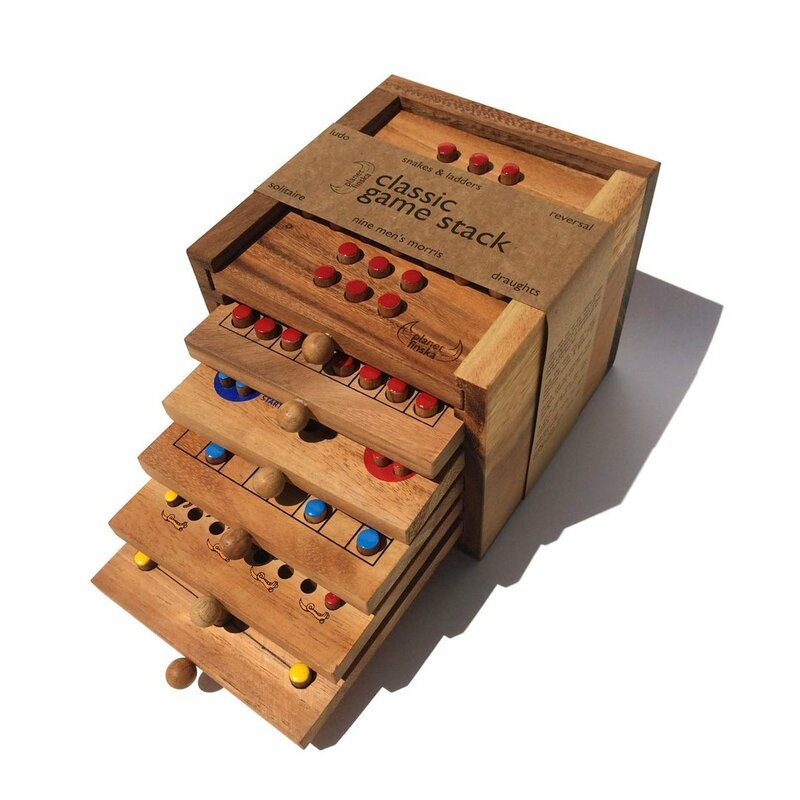 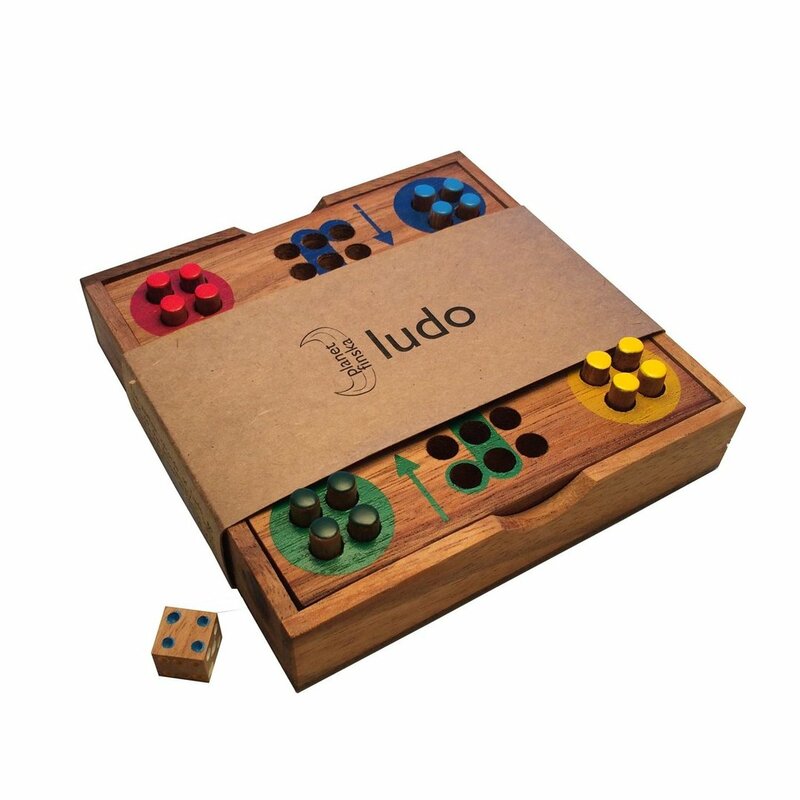 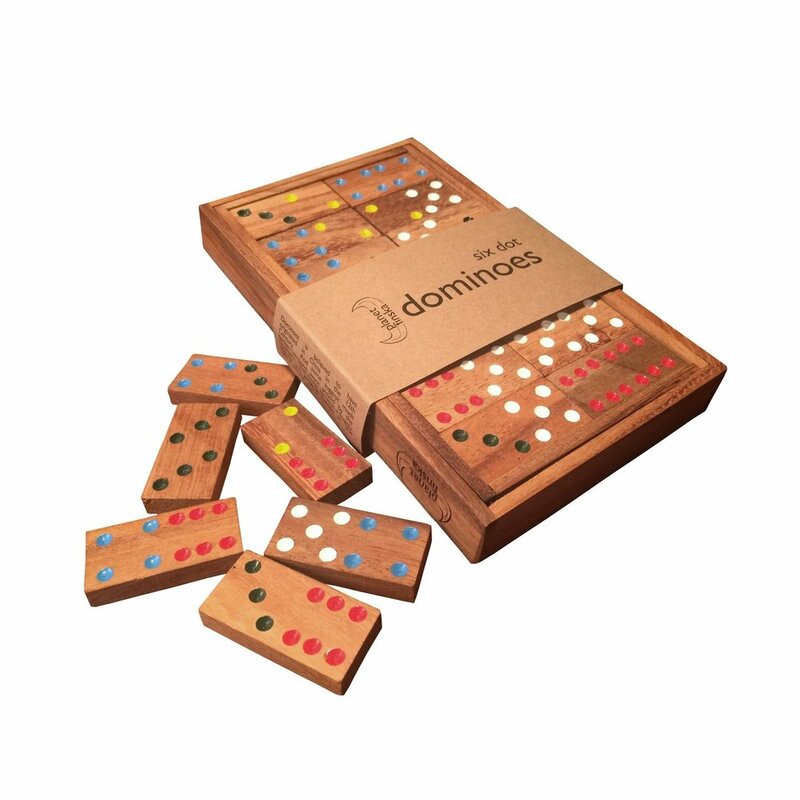 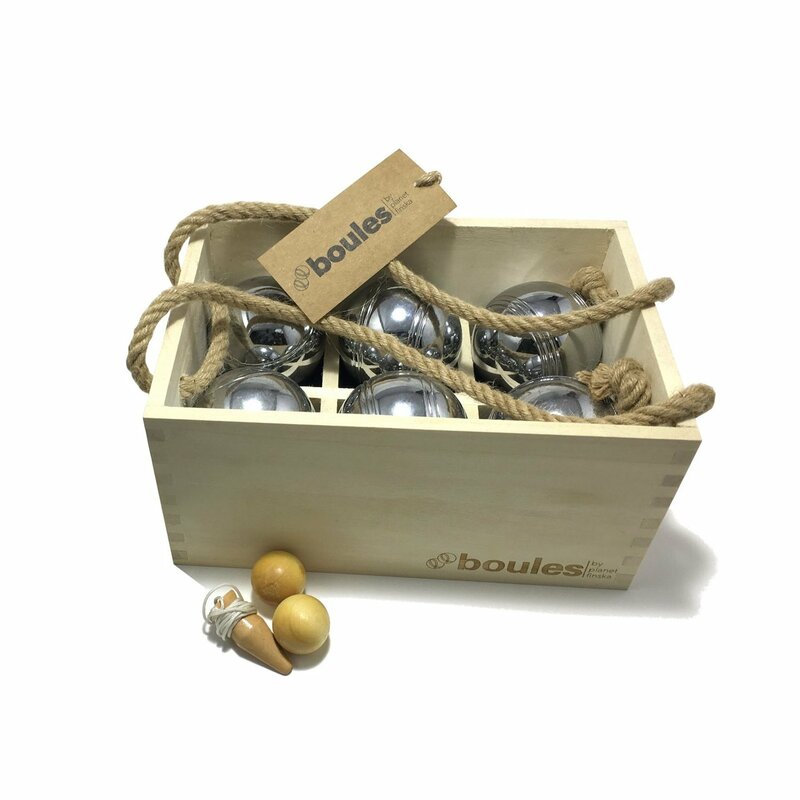 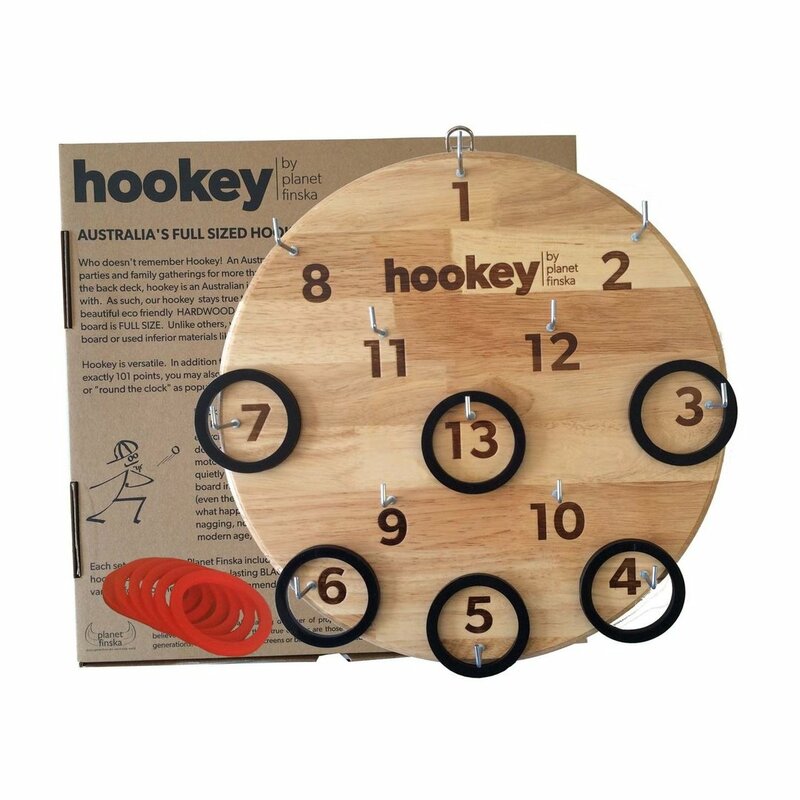 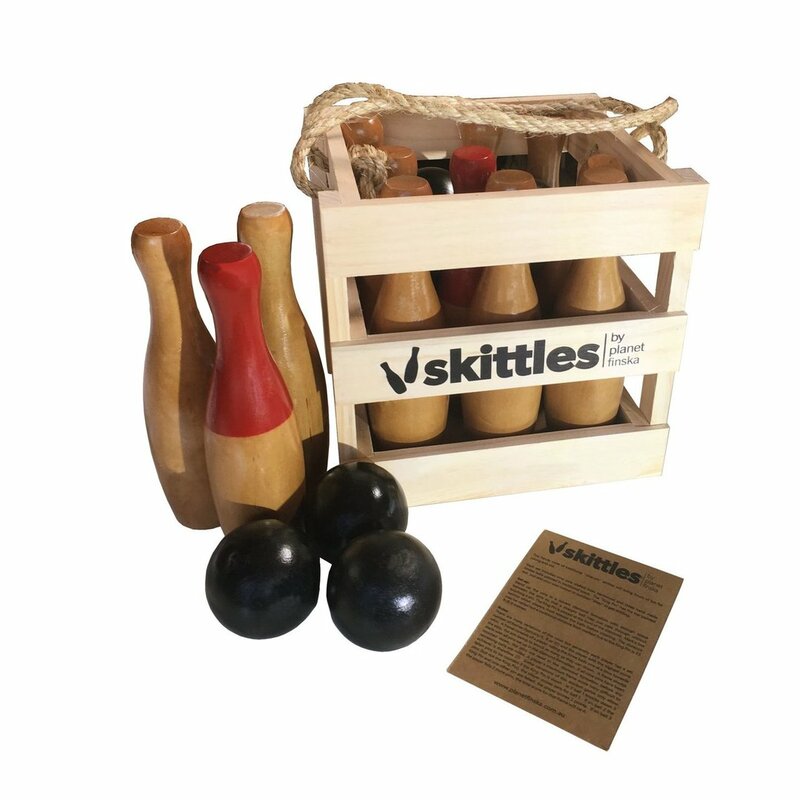 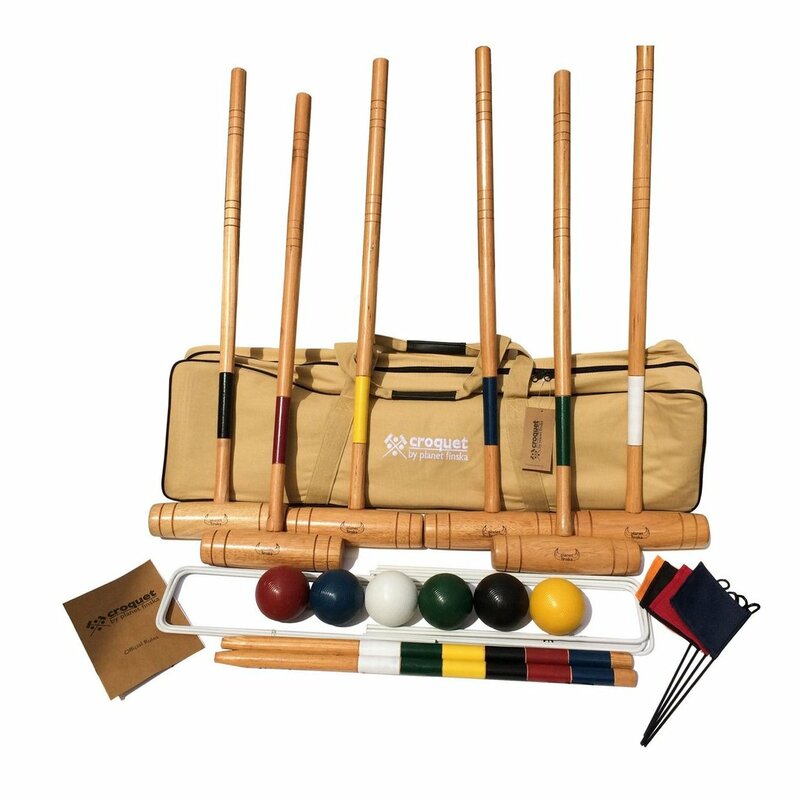 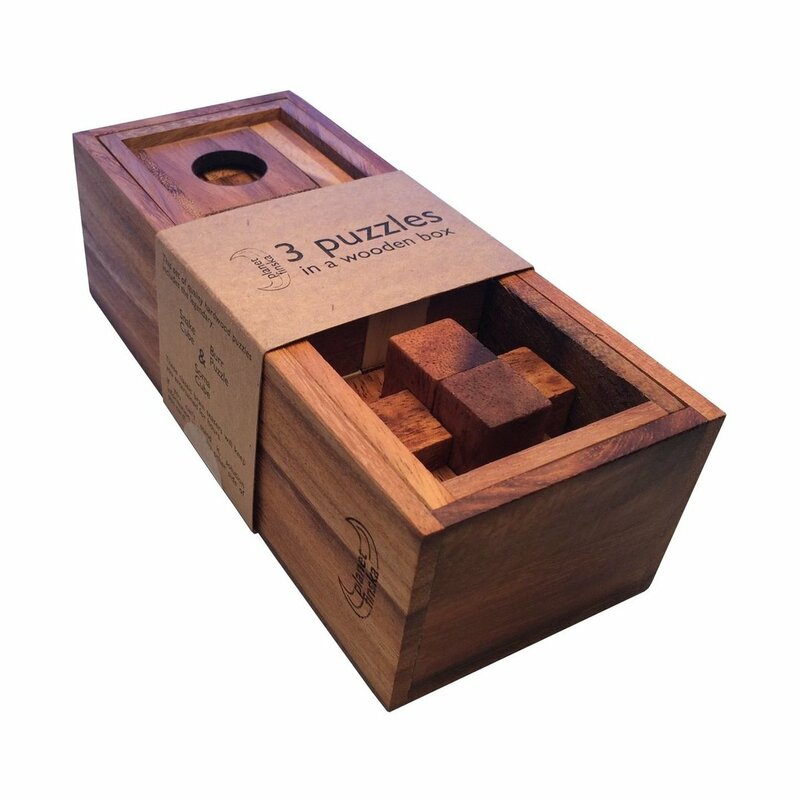 This original set of boules comes in a handy hardwood carry crate and comprises of six polished steel boules, two wooden cachonets (varnished) and measuring string with plastic toggle. 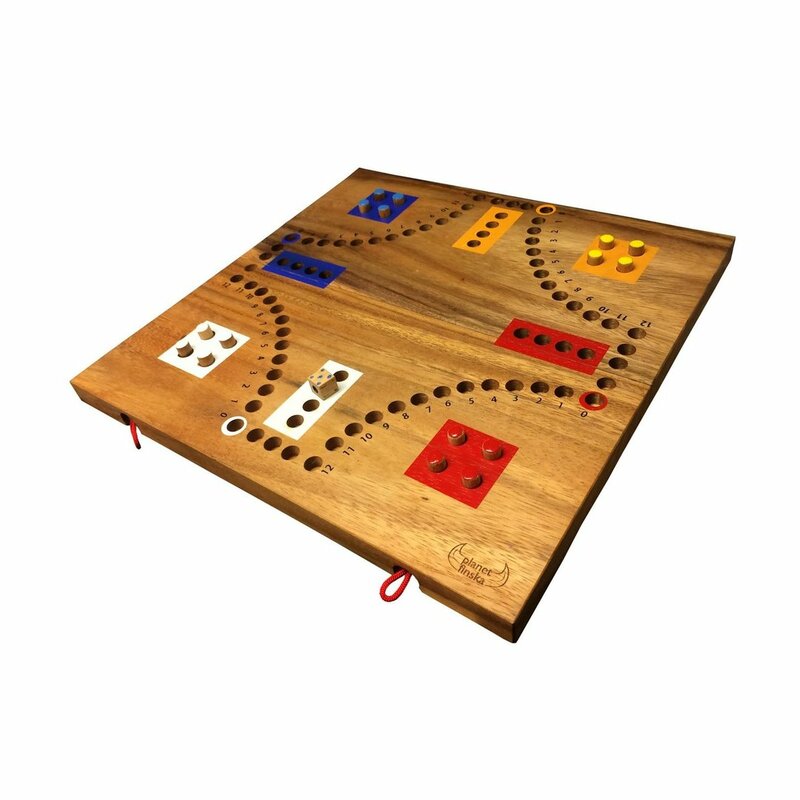 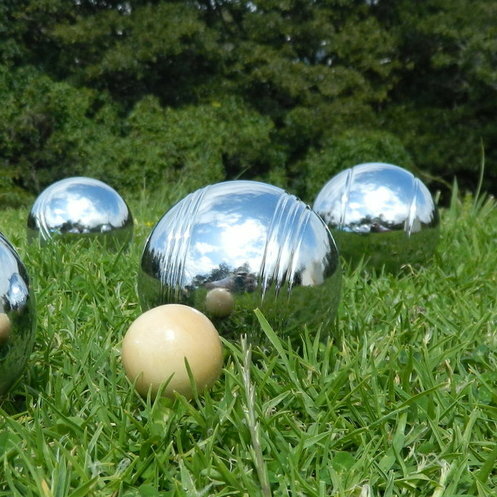 The six boules are designed with one of three distinct patterns where each player has two boules of the same pattern. 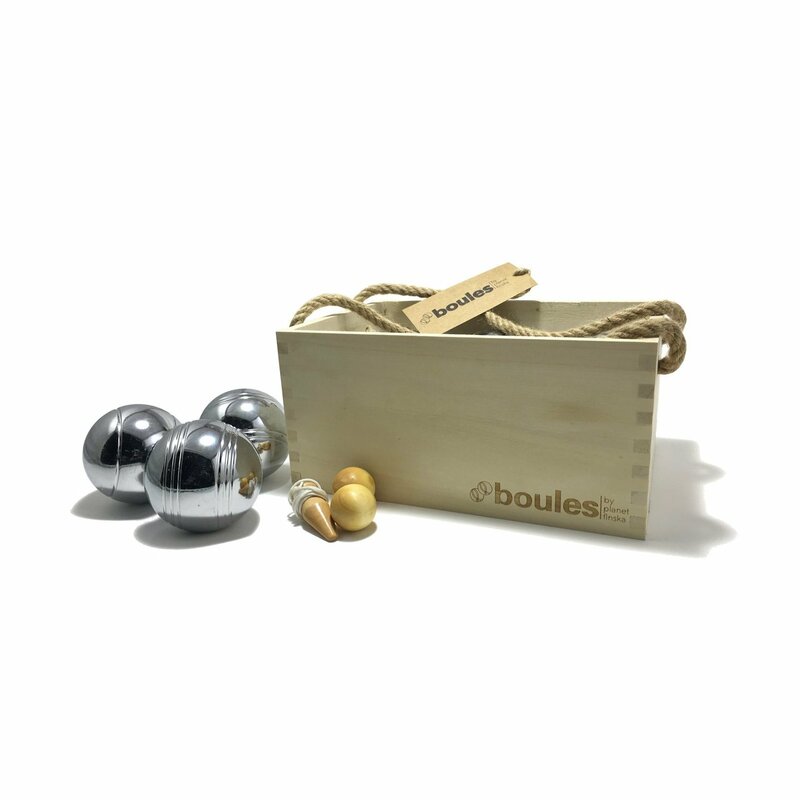 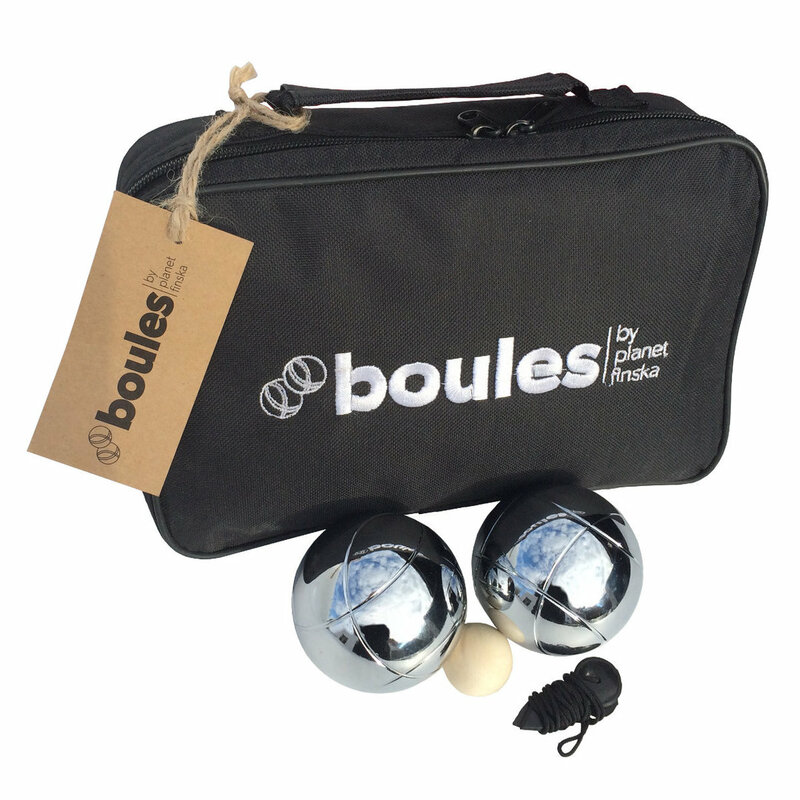 Boules by Planet Finska also comes with easy to follow rules of the game. 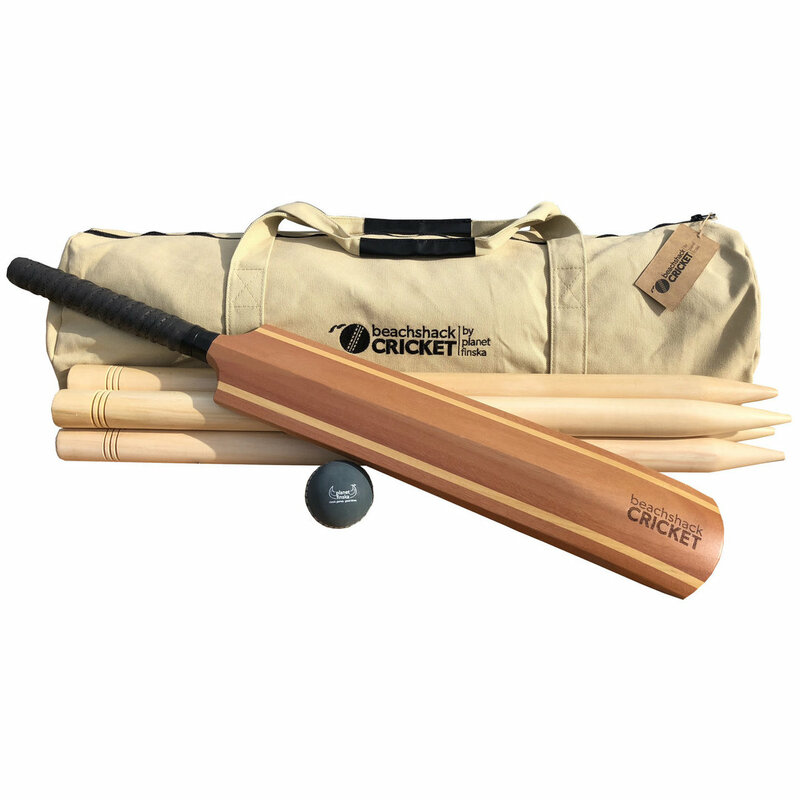 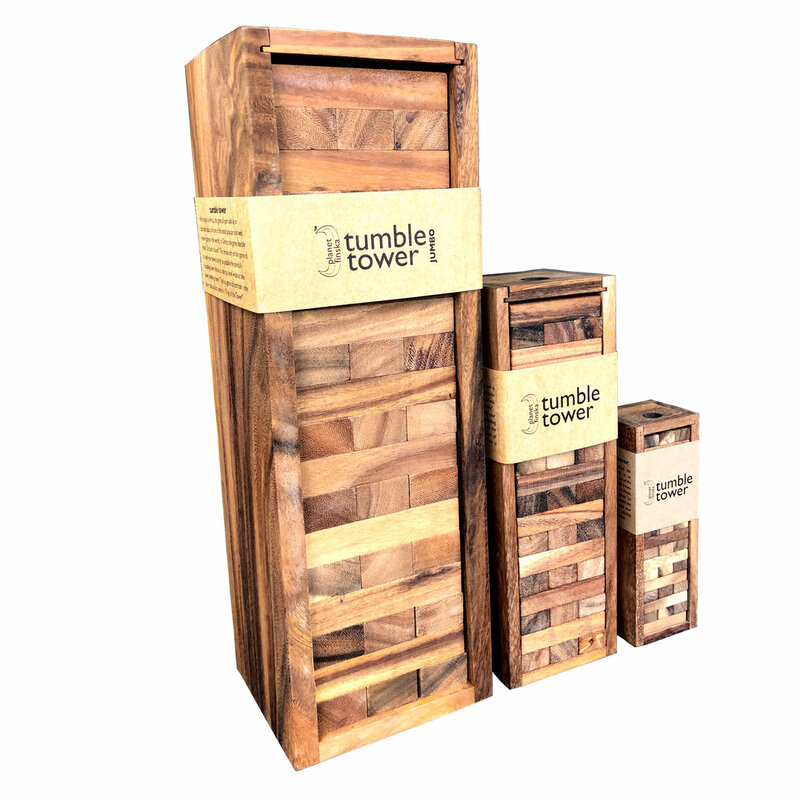 Buy online, ask a question or visit us in.